Book your free consultation at our Belfast Studio or at any of our discrete nationwide salons. During your consultation one of our experienced hair loss experts will assess your condition and explain how Hair Solved’s non-surgical hair loss system will be able to help you regain your confidence with a full head of beautiful, natural hair. Complete the form to find out more about our innovative hair system and payment options, and we will contact you to arrange your appointment. Call our studio direct on 02890 683005, or our freephone number 08000 654501 for general enquiries and bookings. Please quote ref HS1. 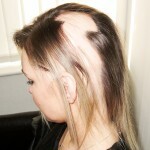 Visit our website to find out more about our unique enhancer system, the most effective female hair loss treatment.